Every Adventure by Disney tour includes Adventure Guides. Adventure Guides are experts in the culture and history of the locations you visit. They serve as concierge, guide, and storyteller while providing historical insight along with personal attention to you and your family throughout your vacation. Our vacation planning experts have traveled the globe crafting fun, immersive, authentic experiences. They have hand-selected hotels, activities, and restaurants that your entire family is sure to love. 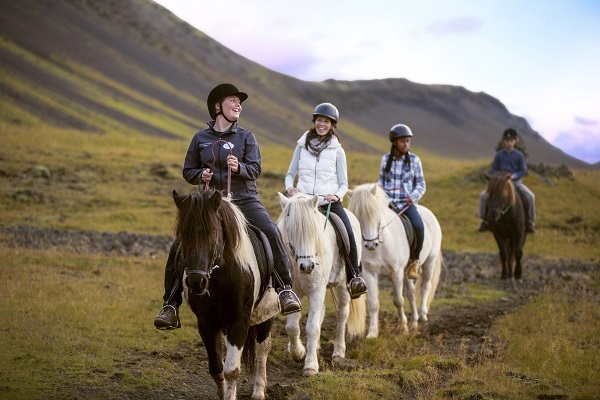 Adventures by Disney® Adventure Guides will ensure your trip is seamless and, above all, memorable. Disney has designed each trip with your entire family in mind. Children can embark on a scavenger hunt at the Louvre in France or learn how to make pizza in Italy. Teenagers will love the archery lessons offered in South Africa or horseback riding in the Canadian Rockies. Adults can indulge in wine tastings and private dinners, while Junior Adventurers enjoy special Disney Movie Nights. By providing fun for the whole family from kids, teens, parents, and grandparents, Adventures by Disney vacations brings families closer together during your trip. When you travel with Adventures by Disney, you will receive exclusive perks you wouldn’t find if you were on your own. Bypass the lines at famous museums and attractions. Enjoy privately guided tours along with private events. Guests can gain backstage access at places such as Disneyland® Park. It’s all part of the Adventures by Disney VIP treatment. Although anyone can take you to a place, we’ll bring you closer to it through cultural experiences with local experts. Enjoy unique thrills just for Junior Adventurers. Experience interaction with historical characters and engaging adventures for everyone. No adventure would be complete without the special Disney touches. It’s those special touches that bring some of the world’s greatest stories to life. Spend time with the costumed historical figure of Benjamin Franklin in Philadelphia or meet Marco Polo in Venice. Throughout your adventure, guests can be sure to expect unique experiences and receive mementos celebrating the culture and history of the fantastic places you visit. An Adventures by Disney family vacation features the same impeccable service, tradition, and attention to detail that is the hallmark of Disney the world over. For your convenience Adventures by Disney takes care of the details. For example, this includes your luggage and hotel check-in – so that you don’t have to plan anything. Just relax, have fun and enjoy an unforgettable magical vacation! Request Your Adventures By Disney Vacation Price Quote.